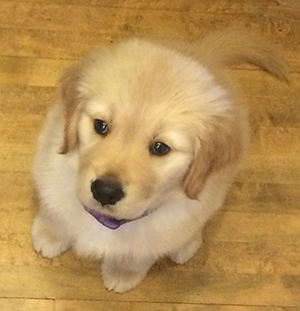 Marketing lessons from a new puppy. There’s no better way in my book of gaining renewed perspective on, well, everything, than getting a new puppy (which I just did). Watching them interact with their new environment is a revelation. For puppies, almost everything is new, strange, exciting, scary, amazing and changing all the time. Sounds remarkably like the new world of marketing as it evolves every day, doesn’t it? Just like puppies, to survive marketers must be open to new things, experiment with them (just not with their mouths), keep and repeat the good, reject the bad and constantly learn and improve. Puppies approach each day with boundless energy, enthusiasm and a sense of adventure. They allow for distractions, and take plenty of time to play and sleep. And they take challenges head on with a sense of optimism and hope for the future – all solid lessons for humans, regardless of their profession. Watching my new little fuzz ball experience the world soothes the soul and provides valuable lessons on business and life. If she could, she’d write a self-help book and make millions of dollars. But she’s too interested in toys, treats and belly scratches to care about money. And that’s another valuable lesson learned. Thanks, Tacy.